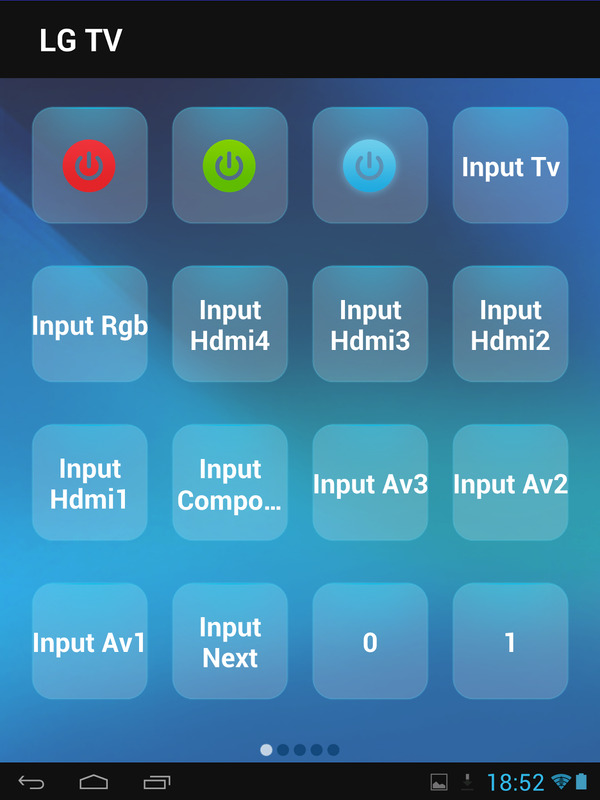 - I had strong doubts that, with my particular Home Cinema setup (devices in 3 separated zones), the hub and unique IR Mini blaster bundled with the Smart Control kit would suffice to control all my gear. 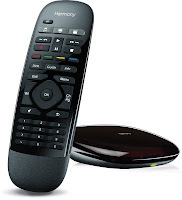 - The product future was uncertain with rumors of Logitech to ditch the Harmony division. 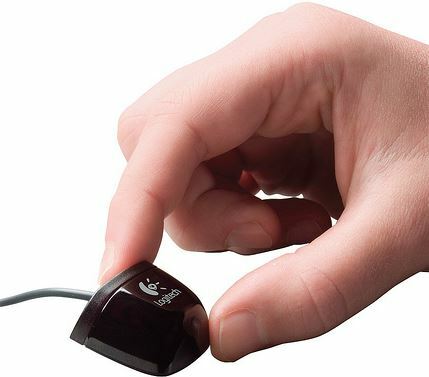 Fortunately, Logitech came back on that decision. 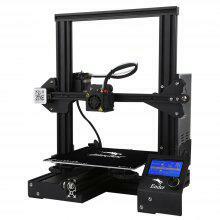 The Smart Control is an evolution of the unconvincing Harmony Link (O-R0003) and a cheaper alternative to the 270€ worth Harmony Ultimate. The cheapest place I found to buy this gizmo was Amazon.fr (90€). For some strange reason, the very same was 20€ on Amazon.co.uk. 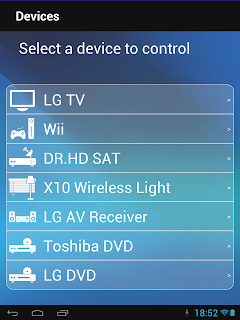 Unlike the Ultimate version, the provided remote cannot be used to relay the IR signal to out-of-reach equipment as it doesn't have any IR LED (it talks Bluetooth to the hub only). However, the Hub itself and the IR Blaster provided managed to reach all my devices, even those not on the same shelf! I was convinced that I'd need an additional IR Blaster to reach all the components of my home theatre. - The lower level is open and holds the Sat Receiver, an X10-IR converter and the Wii. - The lowest level is a closet with BD player, DVD player and Home Cinema receiver (I keep the doors ajar). The Harmony Hub is sitting beside the TV and the IR MiniBlaster is in front of the Sat Receiver. Thanks to the Bluetooth, I could also turn on the Nintendo Wii with a remote...amusing but useless. 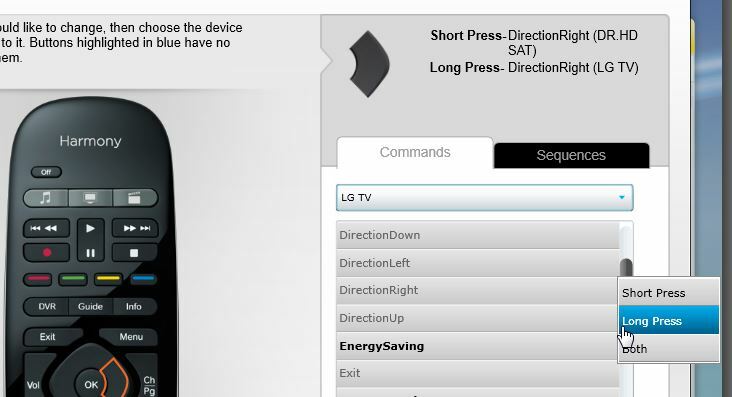 This feature only makes sense with game consoles that double as decent media center like the PS3. The Hub must be connected to a PC for the initial setup. 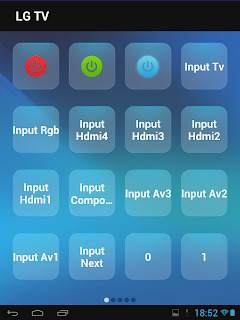 Once registered as a user on myHarmony.com , the assistant will search for the local Wi-Fi access point and help identifying each AV component. 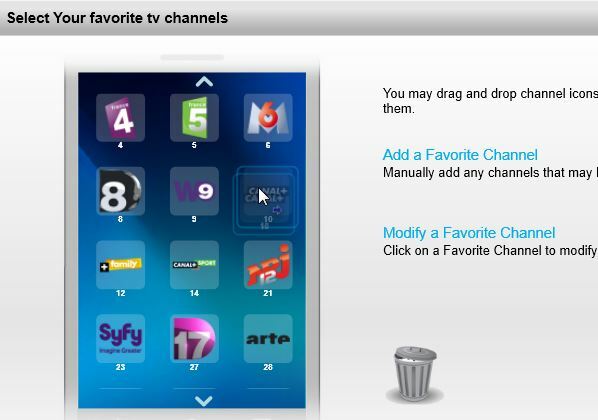 This web site is also the place where changes to the button layout of the handheld remote will be defined. 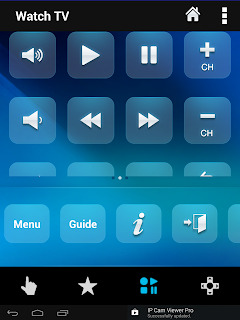 The first sync is done via the USB connection to the hub but later it can be initiated from the Harmony Smartphone app. To deal with its limited number of buttons, two functions can be assigned to each key, one for the short-press, one for the long-press action. 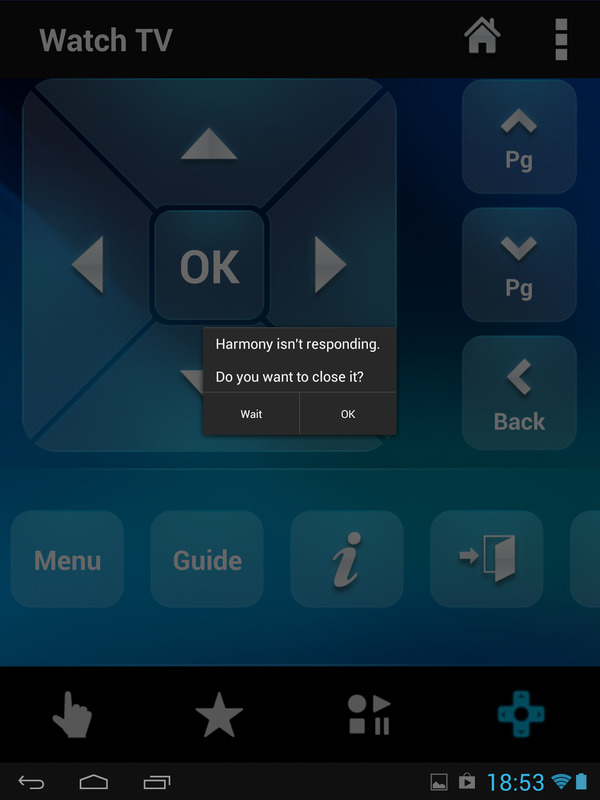 The Harmony app for Android and iOS devices is simple but usable, with clean and proper button layout for each defined activities, where additional buttons can be added if necessary. Gestures are also used for simple control of volume and channel +/-. 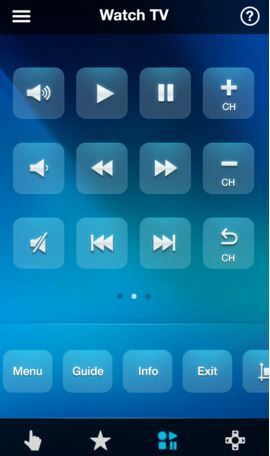 The control of specific devices is not that neat: the buttons layout is random/messy and impossible to change. 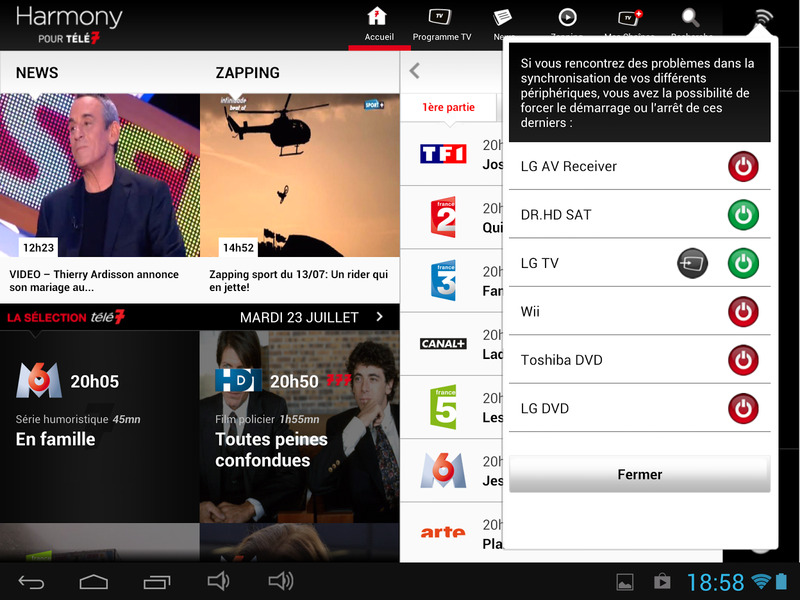 The app is not tablet-ready and shows over sized controls on a Retina display. 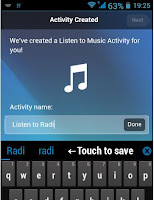 The current v.2.1.2 is often unresponsive and unstable on Android 4.1.1. Definitely room for improvement. 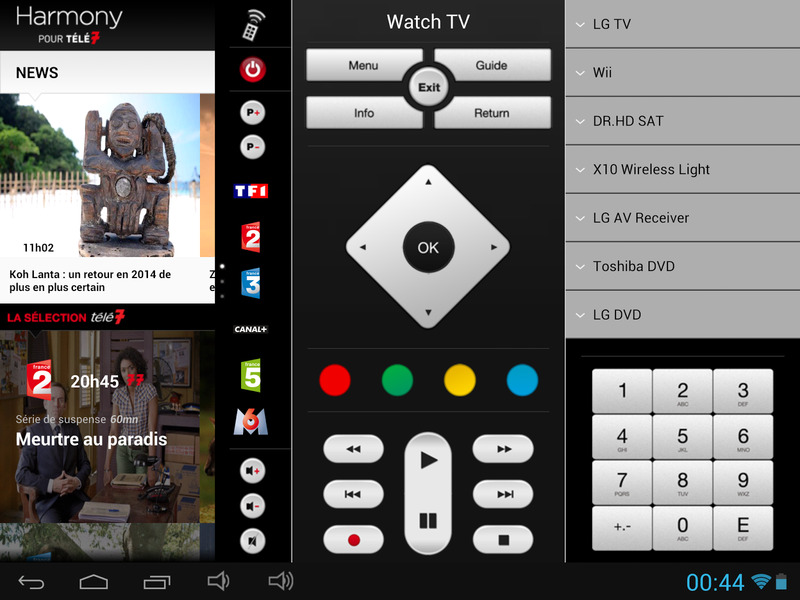 On the French offer (same would exist for Germany but I didn't details) however, the TV Guide provider Télé7 merged a much nicer looking remote control interface with their own TV Guide. 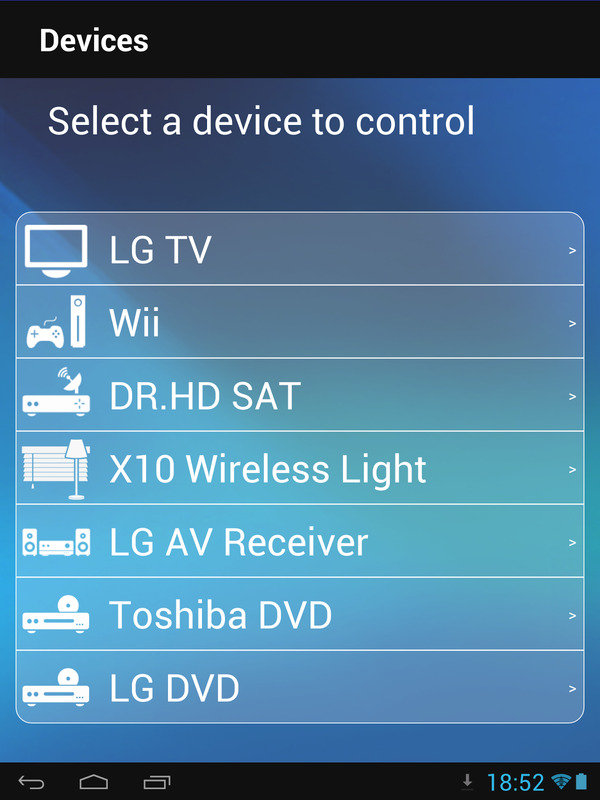 This app is a real added value to the Logitech product. Let's hope that something similar will emerge for other countries. I've seen something similar but only for Logitech Link in Apple store. The Harmony Smart Hub is an affordable product that succeeds in easily turning smartphones and tablets into URCs. 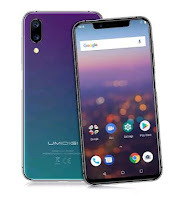 Logitech understood that the best mobile app doesn't beat the instant availability of a dedicated remote control (no unlock, no app launch) and provided a simple one in the kit. 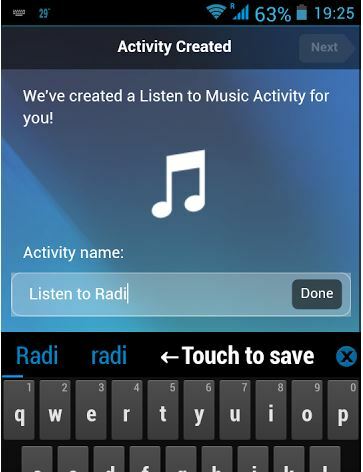 While the mobile app is usable, it badly needs work. - Very strong IR range of the hub and IR blaster provided reaching even out-of-sight equipment! - Currently French customers can use an app integrating both TV program and remote control, which is a true added value giving a much better experience than with the original Harmony app. 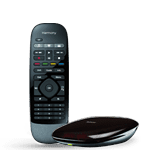 - The provided Bluetooth remote is too limited (no separate device control) despite its ability to host 2 functions per button. Have you checke the IR range with closed doors for the lowest level with BD player, DVD player and Home Cinema receiver or the doors were ajar? Hi, so far I had to keep the doors ajar for the dvd/bd/and receiver especially (it is a the lowest place) to respond fine. My setup has a bit changed since as a PS4 came to replace the dvd and bd players.